Looming over the southern end of Lake Wanaka, Roys Peak is a 5,177ft peak with stunning views of the Otago-Southland region. 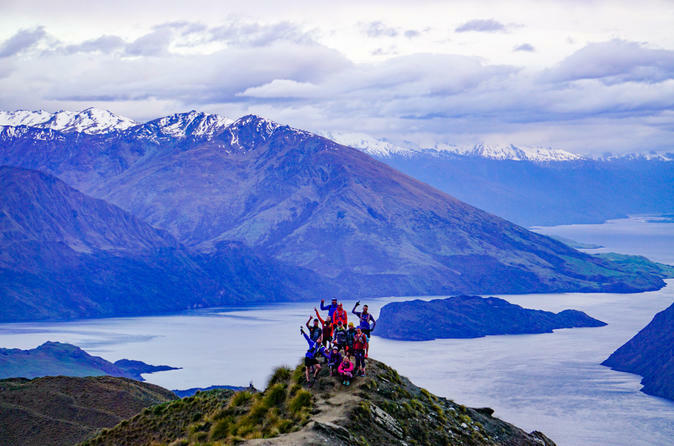 This challenging full-day hike reaches the top of the peak, where you can take photos that stretch to the horizon, and back to Wanaka. No need to find directions to the peak or track information – drive there with your guide and learn about the track from them as you walk. Please advise your pickup location otherwise please meet at Outside Sports, Wanaka. Appropriate footwear with good tread. No jandals/thongs/flip flops. Minimum numbers apply (2). There is a possibility of cancellation after confirmation if there are not enough passengers to meet requirements. In the event of this occurring, you will be offered an alternative or full refund. Single supplement fee available.